Want to learn bike repair? Want to sell bikes? Do you have an old bicycle that you want to put to good use? Want a good used bike? The Boys & Girls Club Bike Exchange in Ewing can help with all these needs. Volunteers at the Bike Exchange condition old bikes and sell them from the Exchange’s shop in Trenton. All proceeds from sale of the bikes goes to support programs of the Boys & Girls Club of Trenton and Mercer County. Bikes can be purchased or donated by going to the Bike Exchange, open during the spring, summer and fall, Saturdays from 10 a.m. to 5 p.m. and Thursday from 5 p.m. to 8 p.m.
Bikes being donated also can be taken to several Exchange bike drop points in Mercer County. Fast Signs on US 1, southbound lane, Lawrenceville (Monday to Friday ) is a major bike drop location. In addition, almost all bike shops in the area have agreed to accept bikes for the Exchange. 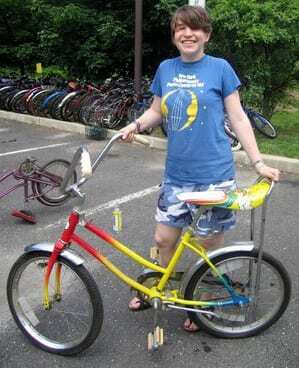 The bike shops accepting bikes are on the Exchange’s Web site: www.BikeExchangeNJ.org. All locations will provide a receipt for tax purposes. to make a significant financial contribution to the after school and summer programs of the Boys & Girls Club in Trenton. Since all workers on this project are volunteers, and since use of retail space is being donated by Levin Property Management, most all of the money received goes to the Boys & Girls Club. 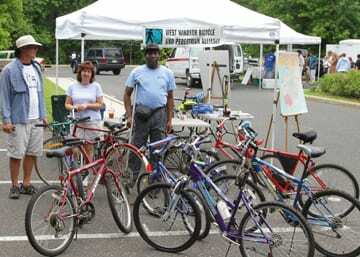 More information about the Bike Exchange is available on its Web site at www.BikeExchangeNJ.org. Want to Run a Bike Drive for the Bike Exchange in your company, school, scout troop or religious organization? 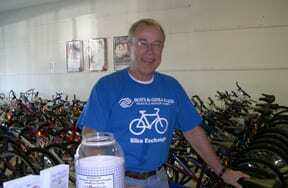 Want to Volunteer to Work at the Bike Exchange?